Delta is a multipurpose Drupal 7 theme based on bootstrap. It is 100% responsive, very simple and clean, easy and simple to edit, created with an installation profile and custom content types for easier management by non-technical users. The theme includes Revolutions slider and a Visual composer (Azexo composer module) to make it easy to edit any page with drag and drop functionality. 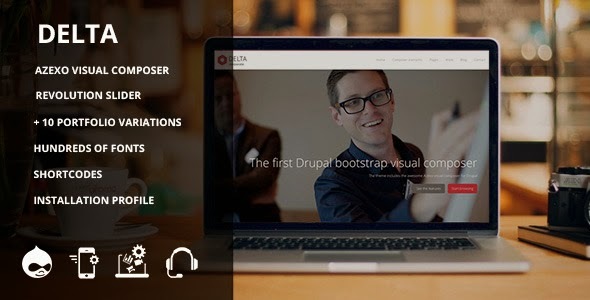 Item Reviewed: Delta Responsive Multipurpose Drupal Theme 9 out of 10 based on 10 ratings. 9 user reviews.